Starting At $196.99 + Free Shipping! The compact design of the RightAngle Hover Series 2 Single Spring System Adjustable Monitor Arm is what makes this mounting system so special. It can hold one monitor that is up to 26 inches and 19.8 pounds. 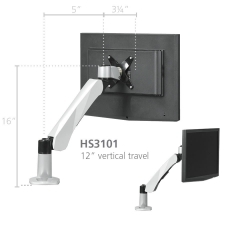 This product is great because it has a universal mounting system, which means it can be mounted virtually anywhere. The system makes your work space manageable, elegant and stylish. 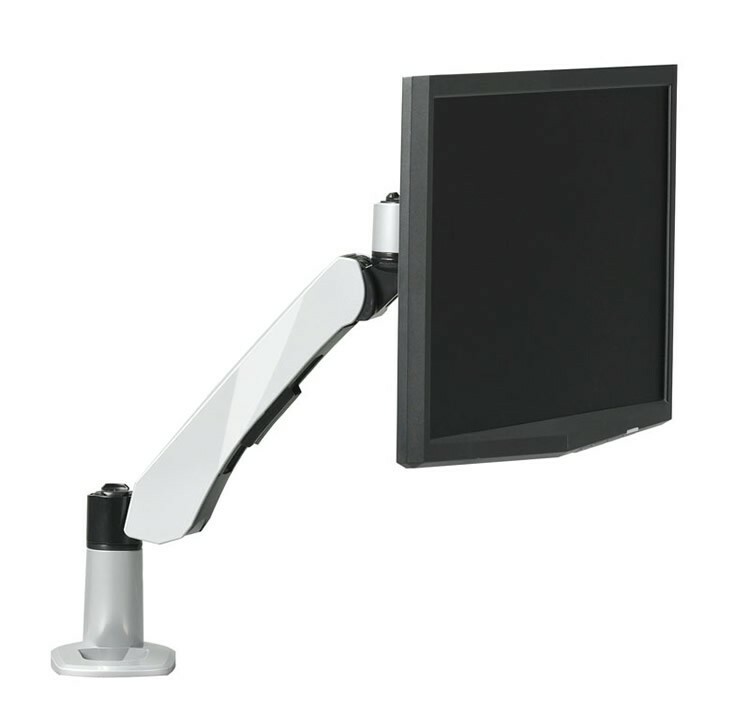 Another great feature about this single monitor arm is that it is adjustable, so you will be able to improve your work efficiency. Weight capacity is 19.8 lbs.